Had a great time getting a couple of final rides in on Firehawk. Thanks again to the park and crew for getting it going and running smoothly. It never was my favorite by any means but it sure was fun today. 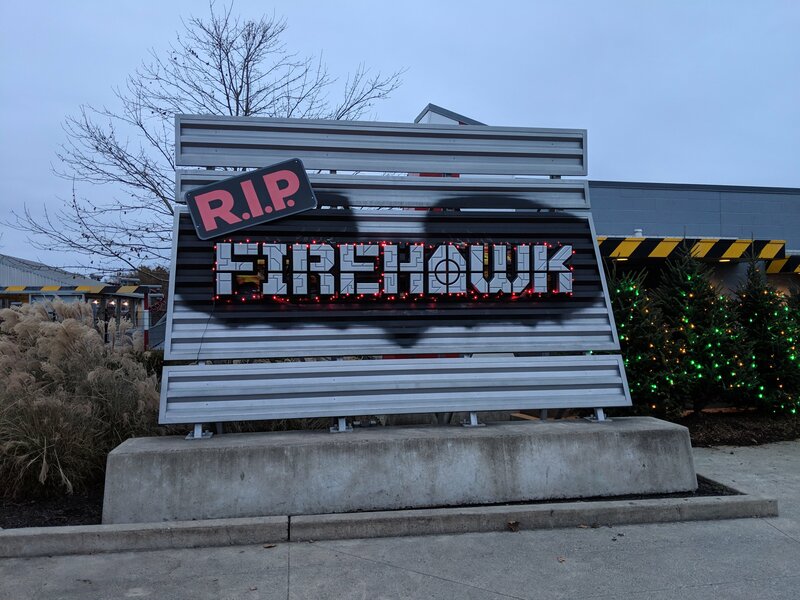 RIP Firehawk, 2007-2018. Got my last two rides in Friday night. It took probably a full minute for the seats to lower in the station which I hadn't had happen before. Thought it was a good way for the ride to say goodbye to me. I rode it twice, the same amount of times I rode it when it was X-flight at Geauga Lake. Got my final ride on Firehawk at 6:50pm ish. Probably only 30 minutes worth of queue behind us as the park was about to close. I give big props to the maintenance team for getting it back running today. Also a shout out to the crew who were running a pretty efficient ship. I totally agree. They worked all morning and tested for hours to get it back up for people to be able to take their final flights! A big thank you to KI from KICentral! Just looked this guy up on twitter hes a joke. 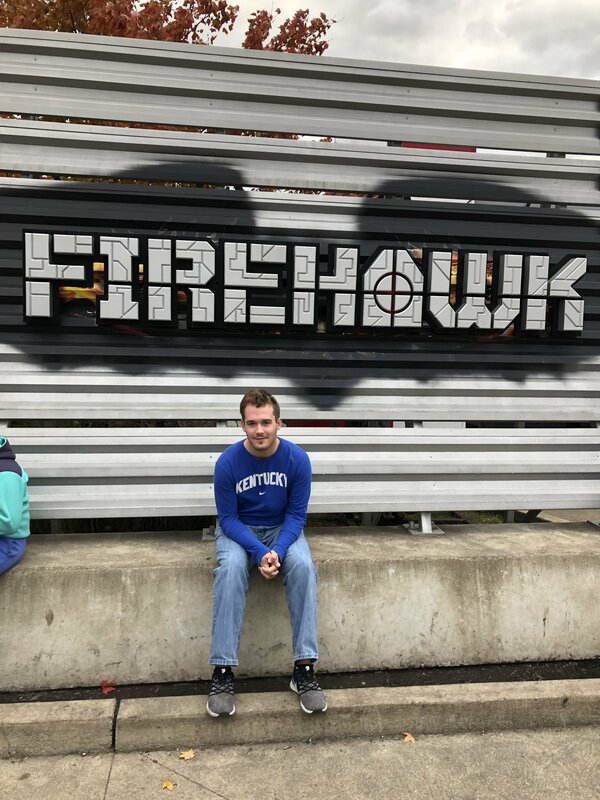 Firehawk was not down all day! I got 3 rides in on it! Including last public train ever! Going to miss that thing! Thank you Don and Ki team for all your hard work keeping it running for us to enjoy one last time. 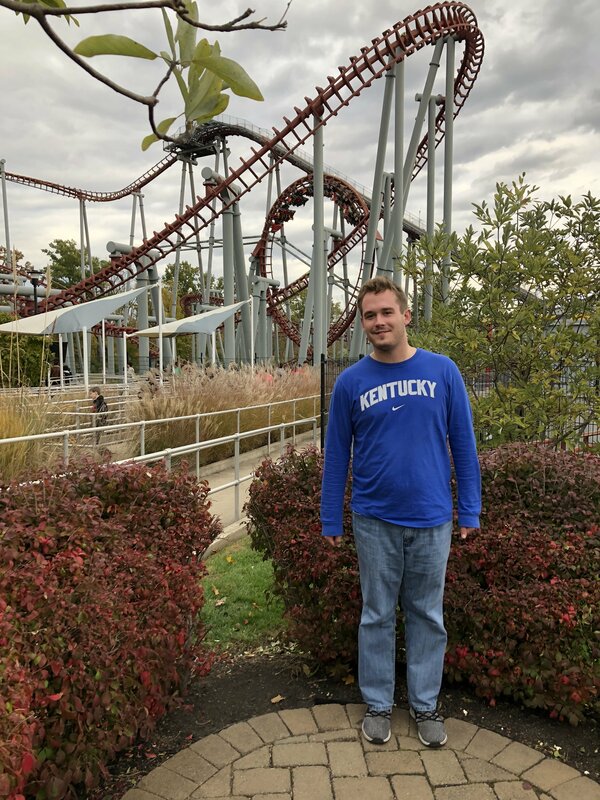 I just wanted to say think you to the employees of Kings Island and especially the maintenance staff who kept the ride going through the cold and the rain. I decided to have a little fun here and rename Xbase to Outpost 5. KI posted the #'s for ridership on FB. Firehawk gave its final rides last night and will now be laid to rest. The steel roller coaster gave 6,761,893 rides during its 12 seasons of operation at Kings Island, an average of 563,491 rides per season. 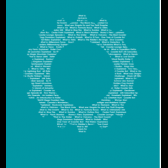 Its record year was 2014 when 624,016 rides were given. Well, it's the night after Firehawk's closure. Any idea when dismantling will start? I found this video that was aired the year Firehawk opened at KI. Hard to believe it's now gone. Just wanted to give a big thanks to KI and the Firehawk crew. They did a great job making sure they provided their best effort to keep Firehawk running yesterday. I didn’t get to the park till about 5 and went strait to Firehawk. There was about a 40 minute wait when I got in line. When I was about 4 trains away the weather started picking up and Firehawk’s operation was suspended. The Firehawk crew did a great job communicating with us in line about the delay and just chatting in general with us. There looked to be more rain coming on the radar, but it stayed dry long enough so those of us who wanted a last ride got one. More video from Firehawk's opening year. Really interesting piece of historical video. Here’s the animation provided by the park. It was a recycling of the animation used for Stealth. 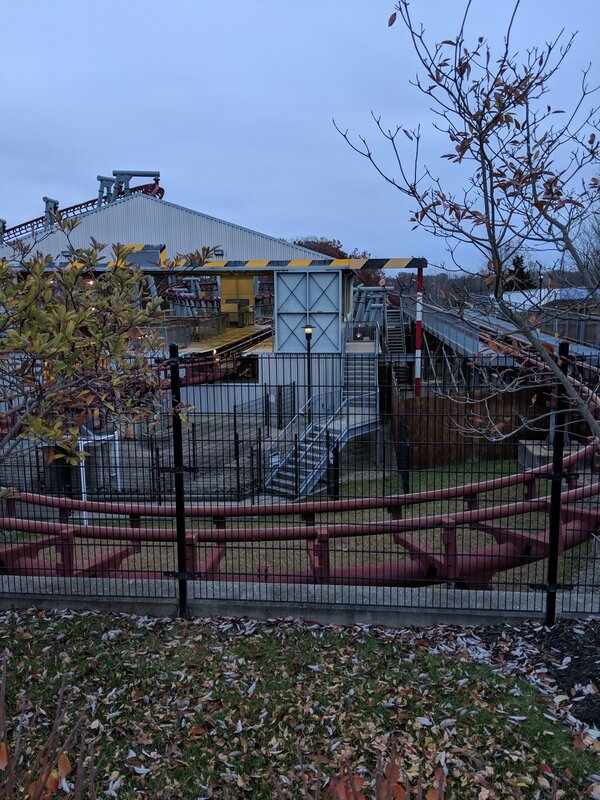 Does anybody know how the dismantling of Firehawk is going and if it'll still be standing for Winterfest, thanks! Somebody knows. But I am curious too. I am sure something would be left but maybe not. Firehawk was never my favorite coaster, but I always loved the unique experience it gave. 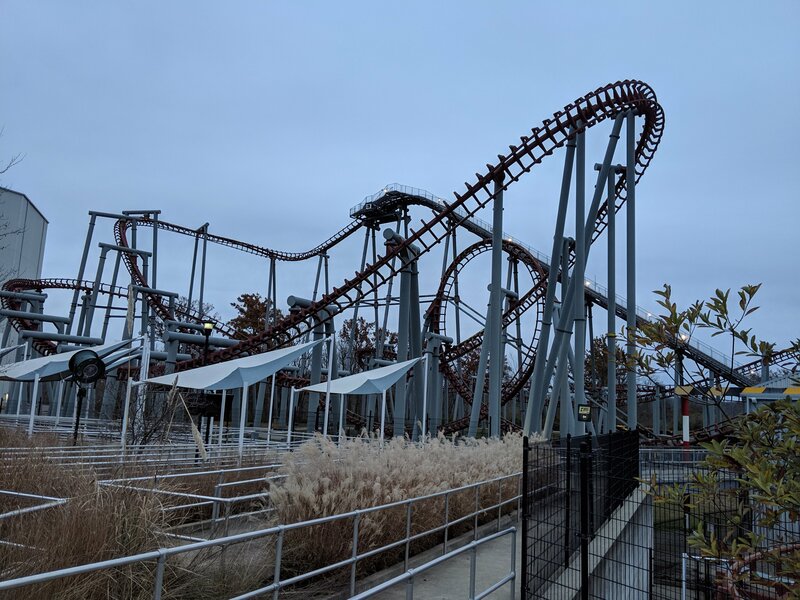 I was fortunate enough to ride it as X Flight at Geauga Lake. I did not experience GL under Six Flags ownership (as I had heard many people tell of terrible customer experience), but I went twice after Cedar Fair bought it. They did a great job with what they had to work with. Unfortunately, I don't think they could repair the damaged reputation that it obtained. A real shame too as I loved several coasters that resided there. Dominator, X Flight, Raging Wolf Bobs, Head Spin, Thunderhawk, The Villain, Big Dipper. They had a really nice water park to compliment it too. At least I have some good memories of that place and still have a Villain hat that I bought there. 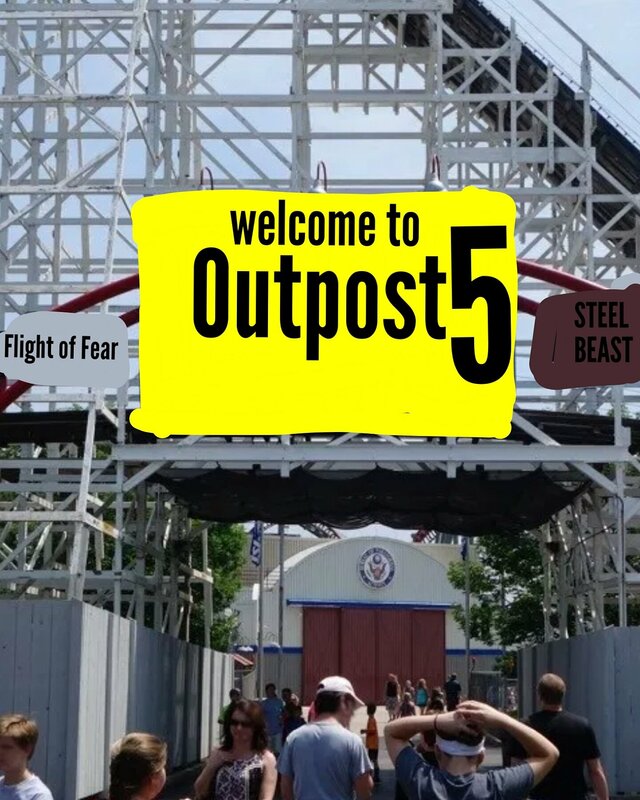 I imagine to keep Flight of Fear open, they'll wait until after Winterfest to take it down. It’s gone. Malem’s mothership is just projecting a holographic image. ^The last thing we need here is KIC conspiracy theories. ^ Agreed. 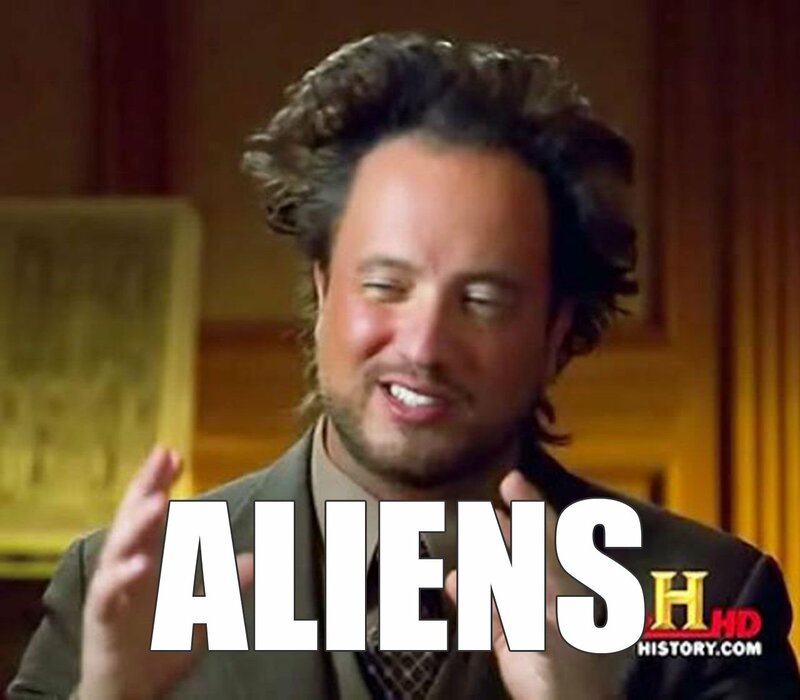 Conspiracy theories seem so out of place in X-Base. ^If anything about SOB pops up, we know who to blame. silver2005, who doesn't want to venture too far down the rabbit hole. I don't know how reliable of a source this is but this article indicates Firehawk may be going to Asia. A used flyer is mentioned along with the two boomerangs. Gotcha, I was looking for the word "Firehawk"